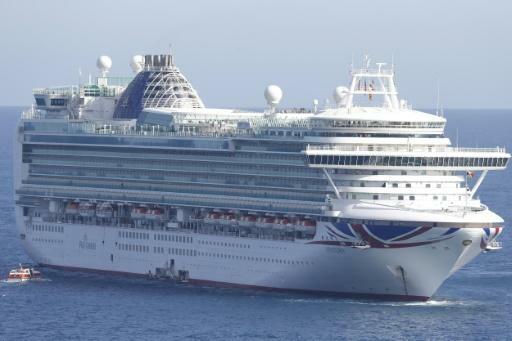 The prosecution was intended by authorities to signal a new intent to tackle pollution from cruise ships after a spot check in March on the Azura, operated by P&O Cruises, found it contained unauthorised bunker fuel. The case has shone a spotlight on practices in the multi-billion-euro cruise industry, with prosecutor Franck Lagier saying P&O "wanted to save money at the expense of everyone's lungs". Captain Evans Hoyt knew the fuel was illegal -- it contained 1.68 percent sulphur, surpassing the 1.5-percent European limit, Lagier said during the trial. The judge handed Hoyt, 58, a fine of 100,000 euros, but specified that P&O's parent company, US-based cruise giant Carnival, should pay 80,000 euros of the sum. The European Union introduced new continent-wide norms in 2015, but their enforcement is patchy. Marseille, France's biggest port, is locked in fierce competition for cruise business with other destinations along the Mediterranean coast in Spain and Italy. But the city has struggled with increased smog in recent years and shipping is thought to be responsible for a large part of the pollution, which can cause lung disease. The Azura, one of the largest ships operated by P&O capable with passenger capacity of 3,100, had taken on 900 tonnes of fuel in Barcelona in March before heading to Marseille. Prosecutor Lagier calculated that the company had saved 21,000 euros by buying higher-sulphur diesel. "The cruise market is expanding fast, in particular in the Mediterranean, creating increasingly large problems," Lagier said. French environmental groups France Nature Environnement, the Surfrider Foundation and the League for the Protection of Birds each obtained 5,000 euros in damages in Monday's ruling. Lawyers for P&O had attacked allegedly grey areas in French legislation during the trial, saying there were different rules depending on the type of vessel and the route it was using. Under new international regulations organised by the International Maritime Organisation, only fuel with 0.50 percent sulphur will be permitted for ships from 2020. For ships operating outside designated emission control areas the current limit is 3.50 percent. Rules have been progressively tightened since 2005.